A pioneering campaign to transform the way young people see engineering and boost numbers entering the profession has officially launched. Engineering is one of the most productive sectors in the UK, but a shortfall of 20,000 engineering graduates every year is damaging growth. There is also a widespread misunderstanding of engineering among young people and their parents and a lack of diversity in the sector – the workforce is 91% male and 94% white. Activities will include a Siemens See Women roadshow aimed at inspiring women, including more black, Asian and minority ethnic girls, into pursuing STEM careers. and a brand new children’s book on engineering from Usborne. The Science Museum and London Transport Museum will be capturing children’s imaginations with interactive exhibitions. 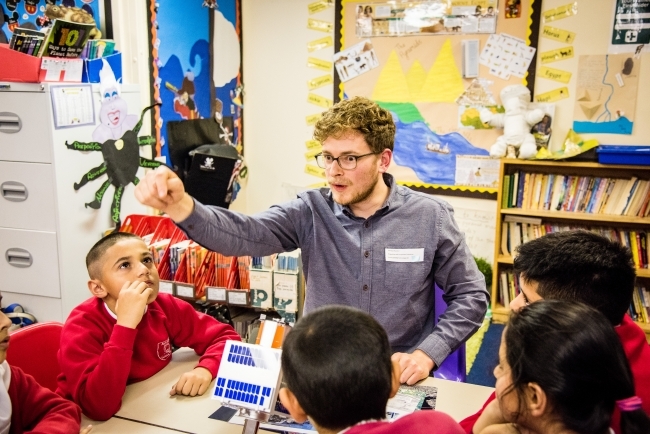 Schools will get the chance to go behind the scenes at Airbus to meet engineers working on the Mars Rover, and Thales in the UK will be inspiring inventors of the future with robot clubs in primary schools. Sir James Dyson, through the Dyson Institute, the James Dyson Foundation and the James Dyson Award, will continue to invest in inspiring young engineers by providing opportunities to apply engineering principles to projects that solve real world problems. Secretary of State for Transport Chris Grayling said: “Engineers – whether they are working on cutting-edge technology in aerospace, energy or artificial intelligence – are vital to the lifeblood of our economy. Skills Minister, Anne Milton added: “I want to see everyone whatever their background, wherever they live to have a chance to get a rewarding career or job in engineering whether they come via a technical or academic route. Engineers, businesses, schools and universities will be marking the launch of the campaign by celebrating the positive impact of engineering. Events include students in Bolton using engineering to tackle real life challenges for people with disabilities with charity Remap, and pupils at a London school taking on a cybersecurity competition. Engineers, STEM ambassadors and schoolchildren will gather for the unveiling of Tim Peake’s spacecraft at the National Railway Museum in York, and in Birmingham Ocado will give schoolchildren the chance to see robots in action.